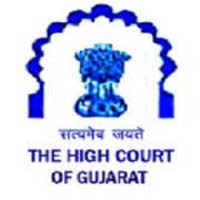 High Court of Gujarat, Sola, Ahmedabad Published Recruitment Notification for 17 Legal Assistants Posts. Qualification : Degree in Law from any University in India or any Institution Recognized by the University Grants Commission. Candidates Studying in the Fifth Year of a Five Year Law Course, can also Apply for the said Post, and their Final Selection would be Subject to their Passing of the Fifth Year Examination of LL.B., prior to their Appointment. Basic Knowledge of Computer Application / Operation.